*How to view the flipbook from those softwares above? 1> Common way Publish online. 3> Copy the flipping files in your devices to check offline. The 3 ways to view flipbook help you spread publications more widely. They fill the gaps left by FlipBook Creator. Please refer to the post How do the flipbooks display on mobile devices? On the top-right corner of FlipBook Creator for iPhone, you can see the IP address of your workplace LAN (Local area network). On address area of the preview browser in iPad, you can see the LAN address. 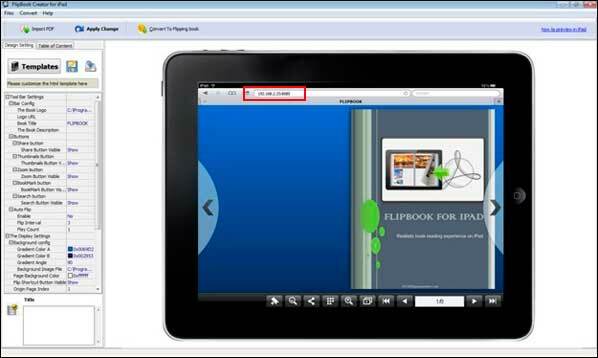 More info, this FAQ: How to preview the flip book on my iPad without upload online? Would help you much. It must be the easiest way to transmit and preview your flipping books among mobiles and personal computers. Put it in SD card or computer disk and then double click the flipping file to view. You can transmit the flipbook by those tools above. Preview or review it on your computer or mobile devices. * Is there some versions of browser the flipbook can’t display? Most of us have been familiar with Firefox, Google Chrome, Safari and IE. They are main browsers we often access to. 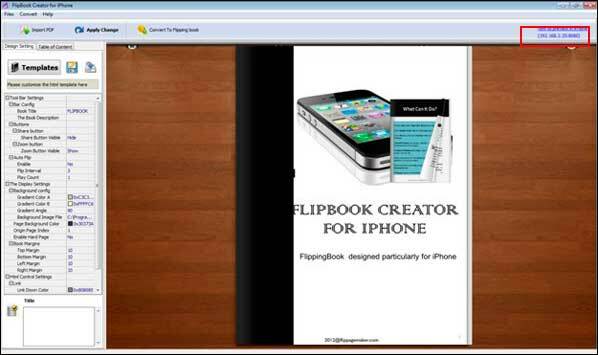 The flipbook created by FlipBook Creator for iPad, FlipBook Creator for iPad (Mac), Flipbook Creator for iPhone, FlipBook Creator for HTML5 can be opened on the browser which supports CSS3. You know, IE9 or above start support CSS3. That is to say, flipbook can’t display well in the browsers below IE9 version. Only the browser supports CSS9, you needn’t to worry about the issue of compatibility. They are the same software runs different platform Windows and Mac. The Mac version doesn’t support Add table of content and search function.